Leading up to Mandela’s 100th birth date of 18th July 2018, AWF, a local voluntary community and charity organisation, are running a series of events which will unite the island’s tight-knit spirit and highlight the needs and di culties of others, wherever they come from. 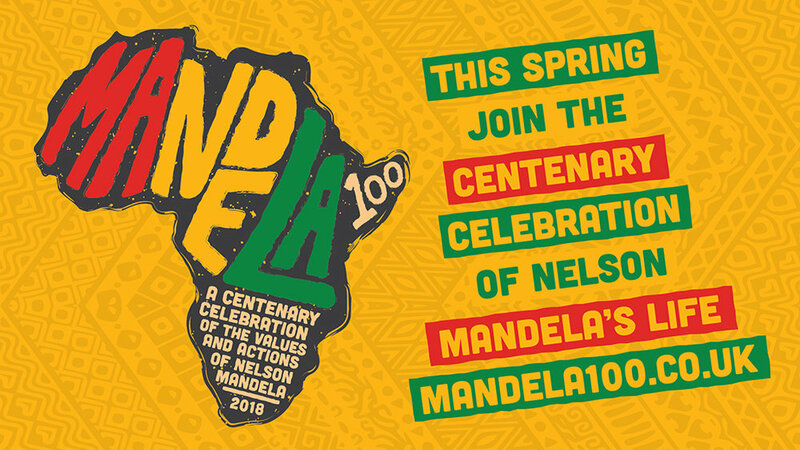 AWF, a non-religious and apolitical group, have created their Mandela 100 programme with nancial support from the Heritage Lottery Fund of £28,100. Mandela 100 is also being supported by Portsmouth City Council, Victorious Festival, and the University of Portsmouth. A specially-choreographed dance by internationally-renowned South African ballet dancer Dane Hurst, created in honour of Mandela, will form part of the performance. The choreography was rst performed in Mandela’s presence during his visit to London, as a ‘thank-you’ for his patronage to Dane. This will be the second performance of the dance since Dane created it. Other South African artists who were close to Mandela will be featured, including Chris Lubbe, Mandela’s bodyguard after his release from 27 years of imprisonments. Another is Colin Chambers, Mandela’s spiritual guide and con dant whilst in Robben Island, and a trusted friend afterwards. Pupils will be taught by professional international African artists through a series of workshops focused on African culture and arts. The workshops are designed to celebrate both commonality and di erences. Sport-minded locals will have the opportunity to re ect on Mandela’s use of rugby football as a tool for bringing together his ‘rainbow nation’ for the glory of their country South Africa, regardless of their di erences. AWF are elding an RFU-sanctioned tournament of teams on 6th May at the Portsmouth Rugby Club grounds in Hilsea to explore this unifying approach of teams working together to win for their respective clubs. AWF need more under-18 member clubs to join this tournament — contact awf07@hotmail.co.uk to get involved. There will also be a visual exhibition of the whole project at Portsmouth Central Library in Guildhall Square during Black History Month of October 2018. The showcase will include a video of oral history, lmed performances, artwork, and objects produced throughout the programme. Local indie lmhouse No. 6 Cinema, located in Portsmouth Historic Dockyard, will be showing Mandela: Long Walk to Freedom on 23rd June. The 2013 documentary lm stars Idris Elba as the revolutionary leader, bringing to life a script based on Mandela’s 1995 book of the same name. Big Screen Portsmouth are set to broadcast an abbreviated lm in July/August demonstrating everything AWF go on to achieve through the 2018 programme. A donation drive is now open for the project, helping fund the events here in Portsmouth and contributing to the construction of a primary school in the remote Liberian village of Teekpeh. The latter honours Mandela’s unwavering belief that “education is the most powerful weapon which you can use to change the world.” Anyone wishing to o er support can do so via this Total Giving link.